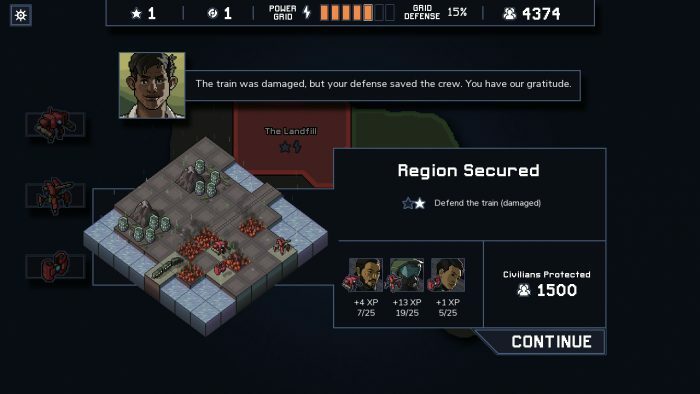 Cheating in Into The Breach is pretty easy — all you need is a list of commands to completely break the game and make this strategy game a total breeze. There are tons of ways you can alter the game, from unlocking everything, to giving yourself an instant infusion of reputation, or just instantly winning a mission. It’s all super simple, and we’ll break down exactly how to cheat, and all the codes found so far, in the guide below. Not that this game was really designed for cheating. Into The Breach is an isometric, turn-based, rogue-like where you take control of three mechs and fight hordes of giant bugs trying to destroy what’s left of the flooded Earth. From the makers of FTL, it’s no surprise this thing is a challenge. Even if you’ve completed the story, there’s a lot of fun to be had with these developer console commands. It’s like exploring a side of the game we’re not meant to explore. Let’s check it out. To bring down the developer console window on PC, press [~] tilde. After that, simply type in one of the following commands to get the effect you want. Here, we’ll list only the commands that are known and actually function in-game. There are many more, but not all of them are that useful. Check out the extremely useful fan-guide here for a complete list. rich – Gives 1,000 Corporate Reputation and 30 Power Cores. kill – Kills all enemies on the map. win – Instantly win the current mission. If on the final island, begins the second mission. makeitso – Unlocks all normal pilots. Does not unlock the secret alien pilots. pod – Summons a Time Pod in your current mission if there isn’t one already. secret – Adds a secret FTL alien beacon to your current map. day # – Set the current day. Replace “#” with a number. rain # – Set rain. Replaces “#” with a number between 0-6.
power # – Sets the amount of Power Grid available. Replace “#” with a number. money # – Sets the amount of Corporate Reputation available. Replace “#” with a number. cores # – Sets the amount of Power Cores available. Replace “#” with a number. victory – Instantly complete the campaign. reward – Instantly gives you the perfect island completion reward. hide – Removes all UI elements. store – Opens the store that normally only appears at the end of an island. We’ll add more console commands as they’re discovered and tested. Let us know if there are awesome commands you want added to the list.